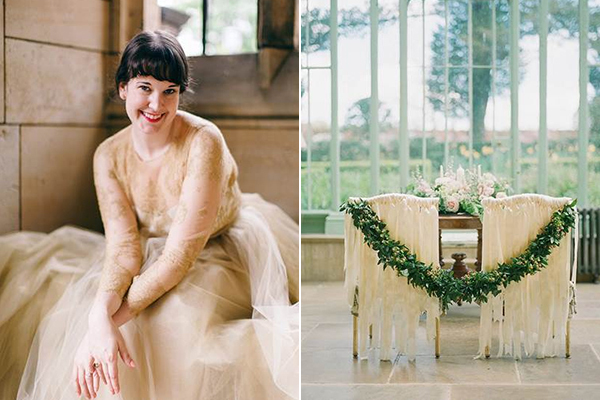 When Ariana from Hey Wedding Lady is not coordinating beautiful weddings she is featuring innovative style, inspiration and unique weddings that are, in her own words “close to the heart rather than to the latest trends”. 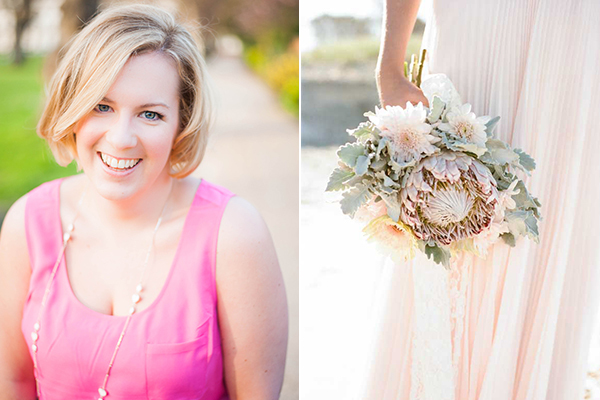 I am so happy today to share with you her thoughts and ideas on how she imagines her wedding will be! I’ve yet to get married, but over the years I’ve met plenty of guests, clients, and other event professionals who say, “you’re a wedding coordinator? 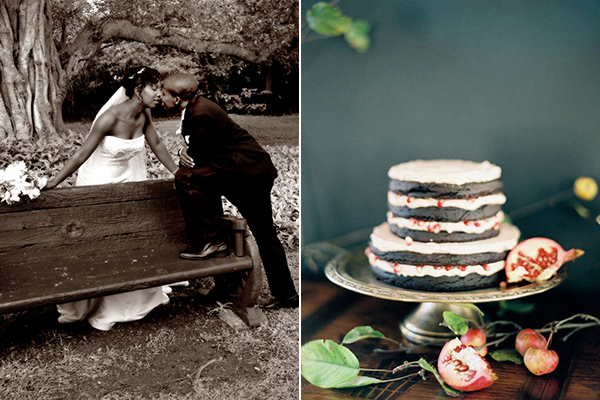 You must have your wedding all planned out!” The truth is, I really, really don’t. I’ve helped hundred of couples put together their own personalized wedding details, and as I segued into blogging, I focused on creating unique and dynamic wedding inspiration – everything I post has a certain amount of author appeal, but none of it was created with my own big day explicitly in mind. The truth is, I think a wedding should be a celebration of two people unifying their lives and their families, and until I know for certain who that partner will be, my ideal wedding is still a bit of a mystery. 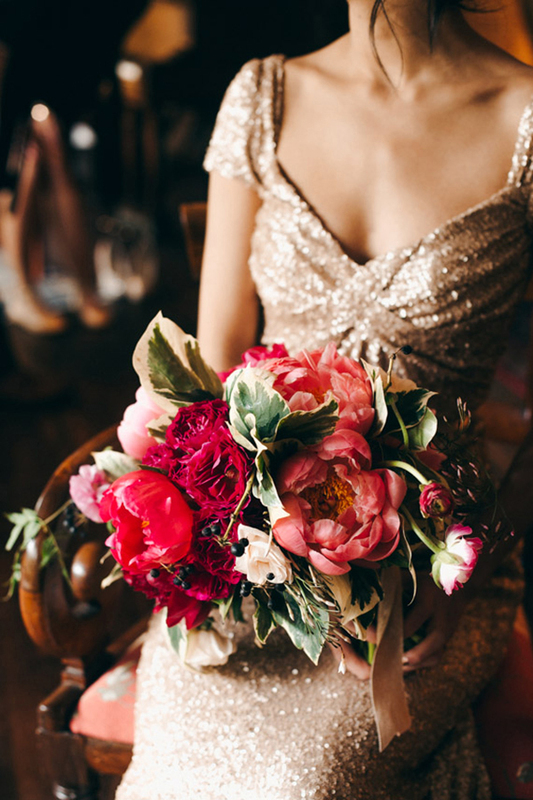 Luckily I’m inundated with gorgeous wedding inspiration daily and I definitely have some ideas! 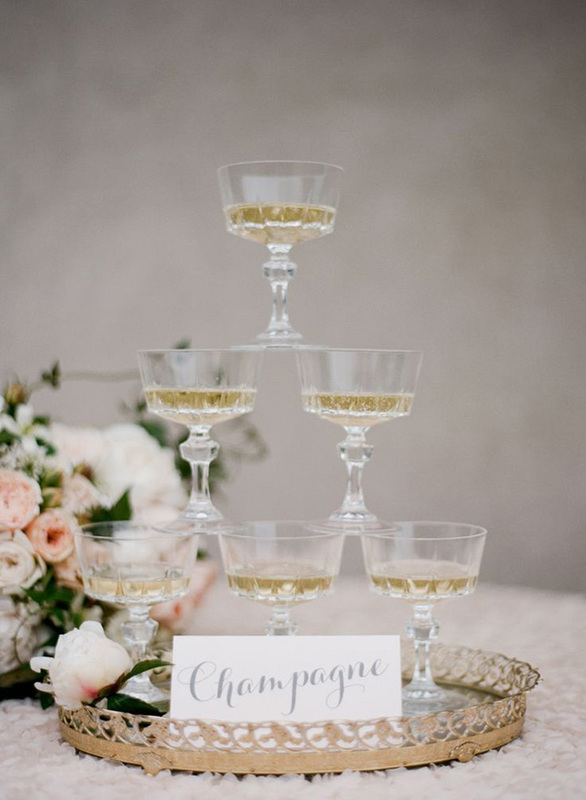 The weddings and styled shoots that appeal to my heart of hearts tend toward the timeless, elegant, and unabashedly romantic. I’ve always been drawn to a lush, and blooming spring garden, full of hidden nooks and arbors. I’d use that as the jumping off point for the overall theme – sweet, stylish, and with lots of modern touches! Above all, I would want my wedding to feel welcoming, cozy, and intimate to allow me time to celebrate with those I love most! While I’ve definitely come around to the beauty of a chic, neutral palette, I will never be able to resist rich, vivid color. Warm and luxurious berry red has always been a favorite of mine – I’d pair it with soft blush, champagne sequins, and deep hints of French blue in the decor. 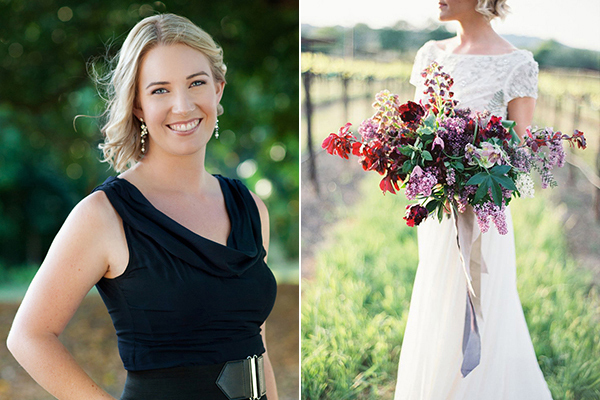 When it comes to my wedding day style, I would want to go classic all the way. I love to cover wedding dress trends, but I would definitely pick something timeless, a gown I can look back on from my umpteenth anniversary and still love. 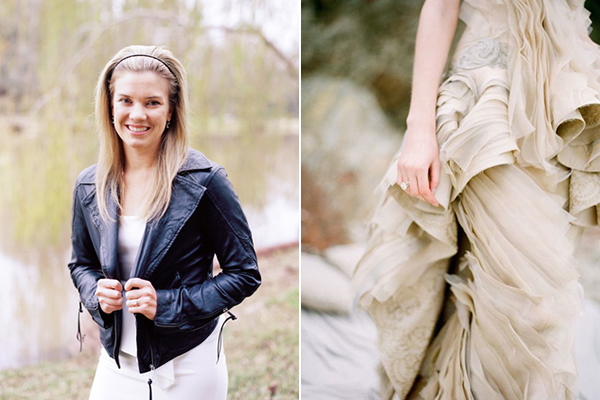 Sweeping skirts, a hint of sparkle, and delicate cap sleeves are at the top of my list! I have a serious cardigan addition – I would definitely want a berry or sequin cover up for the evening. When it comes to shoes, I would want an absolutely fabulous pair of sparkling heels to walk down the aisle in, and some comfy flats when it comes to dancing! 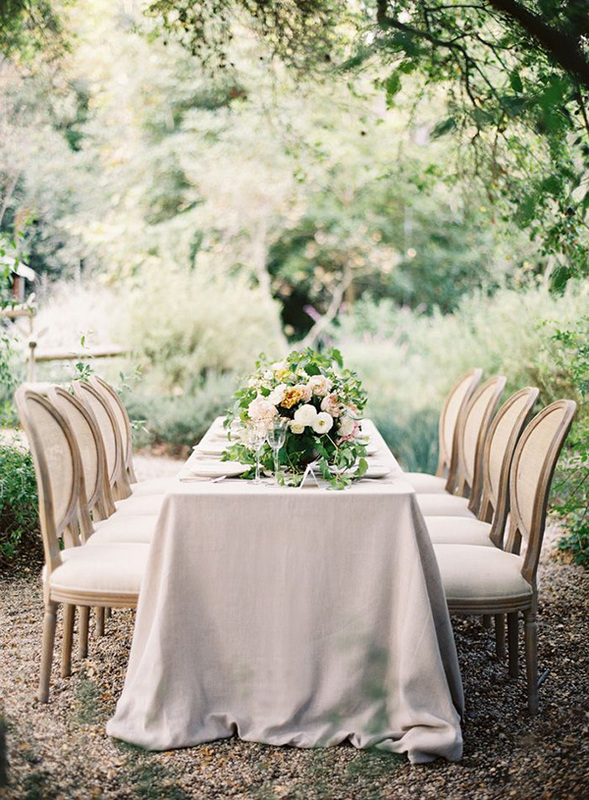 Since I dream of a garden wedding, I’d want to center the day around a manor house, villa, or bed and breakfast with gorgeous grounds that’s already equipped to handle events. We’re talking beautiful and practical! 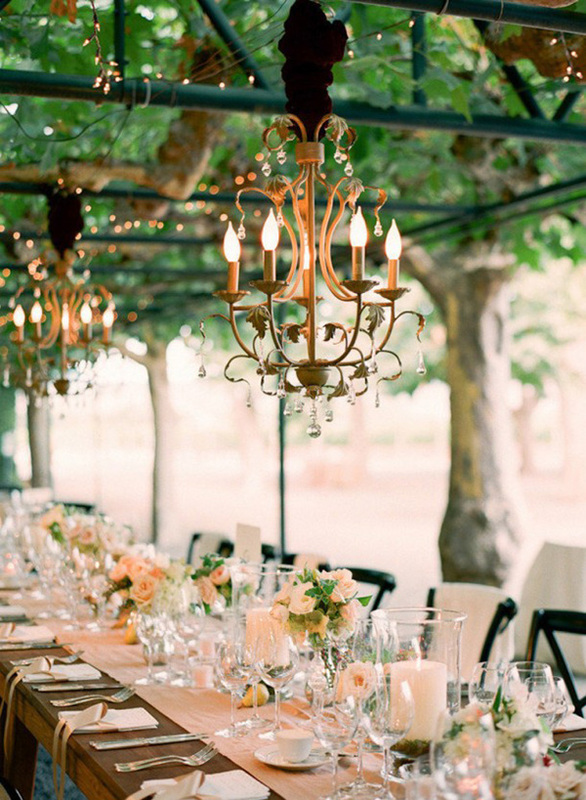 Stunning landscaping means less work to pretty up the venue, and, well, an arbor hung with twinkle lights and chandeliers over the guest tables would be ideal! 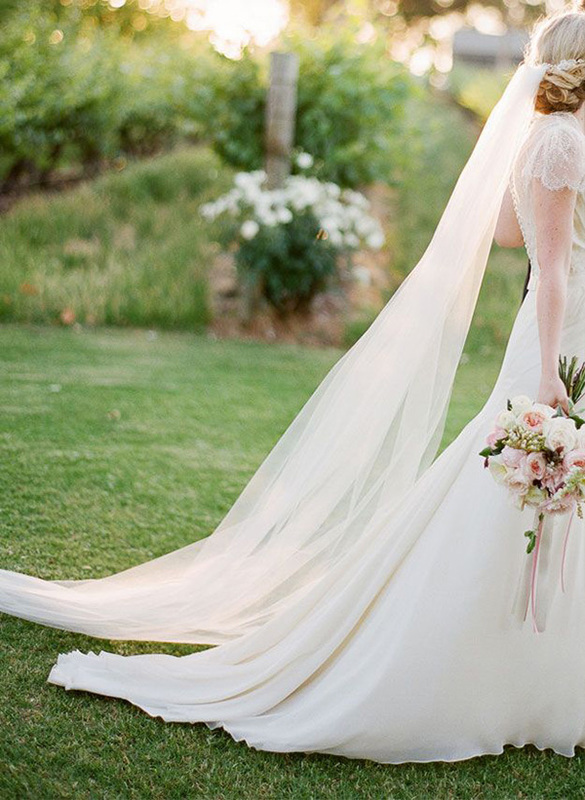 I live in the Central Coast of California, surrounded by breathtaking wedding venues – Nestldown in the Santa Cruz Mountains and Beaulieu Gardens in Rutherford have definitely contributed to my wedding day fantasies. 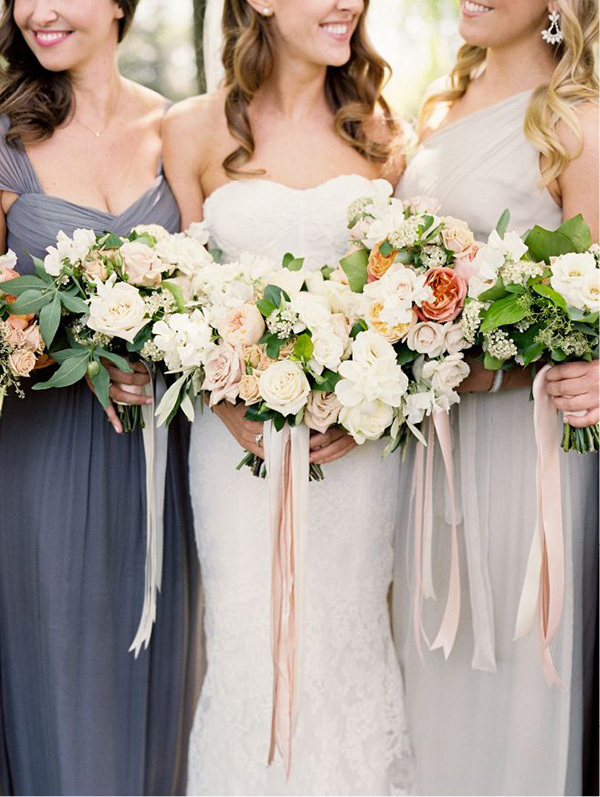 I’d want to have a local wedding – working with my wonderful network of event professionals would be the best way to make sure my wedding is not only beautiful, but in excellent hands. I have a serious sweet tooth, so it will be a dessert display for sure! I’d love a fairly simple buttercream cake, covered in fresh flowers, as the centerpiece, with lots of decadent desserts surrounding it. My personal weaknesses are French almond cake with berries and fresh cream and key lime tarts! My personal favor philosophy is don’t offer something unless you can find a use for the 80 or so that get left behind after the wedding. Rather than a traditional favor – I once ended up with 150 monogrammed mini flashlights (that didn’t work) after a wedding – I’d rather do a take home treat. 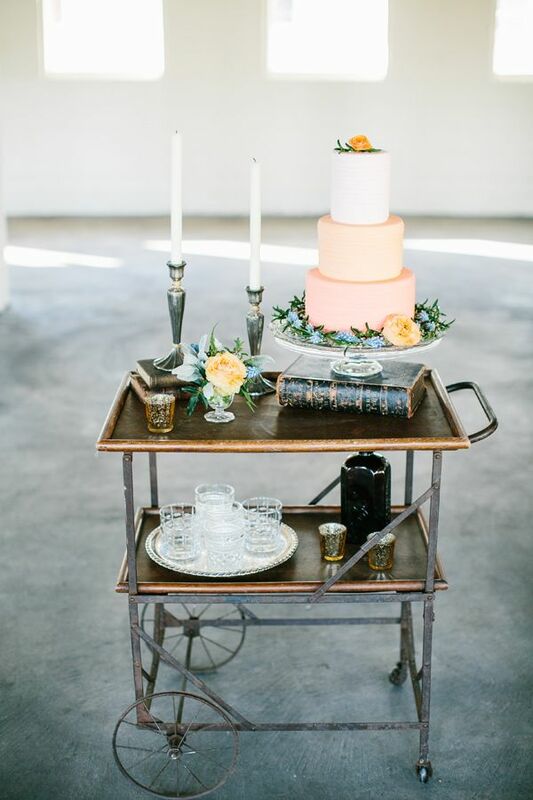 A station with pastries, packets of local coffee, tea, orange juice, and champagne splits is a fun way to let guests put together a morning-after kit! Keeping my guests happy and entertained is a huge priority for me! A string quartet playing modern songs is my dream for the ceremony and Cocktail Hour, with a fun, local band for dancing! I’d definitely want to have some champagne flowing, along with signature cocktails – I’m a whiskey girl – and beer from local breweries. 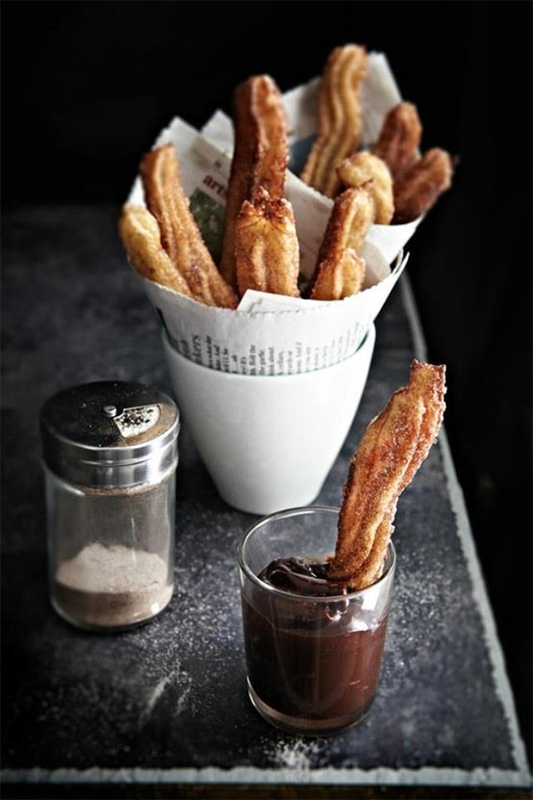 I want to dance the night away, so a late night snack of churros and hot chocolate would be a welcome treat! Where to start – there’s such a lot of world to see! I would want to share some of the places that have captivated me the most with my sweetheart, and there’s no where that’s true more than Switzerland. It combines my love of scenic beauty, charm, and adventure. Hiking, canyoning, skydiving, paragliding – definitely my top honeymoon activities over lying on a beach. Of course, I’m sure we’ll want to unwind from wedding planning, and I’m perfectly happy sitting in a lovely little cafe and taking in the view. 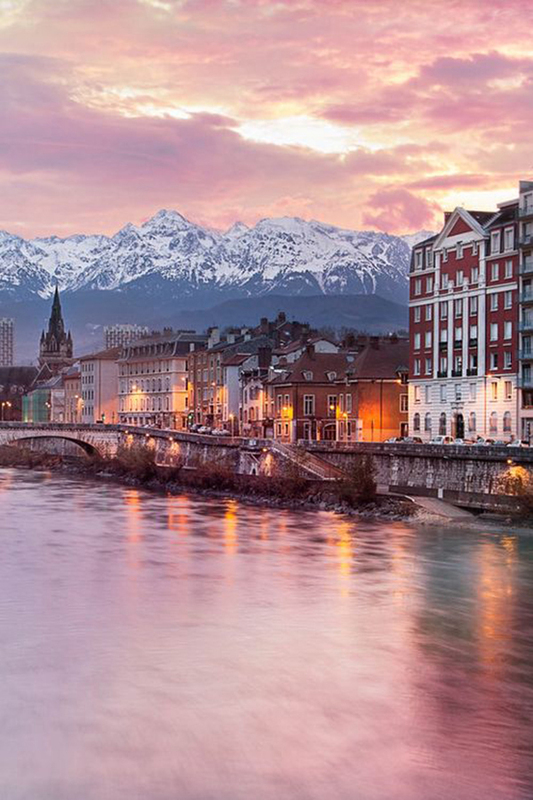 Switzerland is the perfect gateway to France, Italy, and Germany so there will be no lack of gorgeous places to explore! 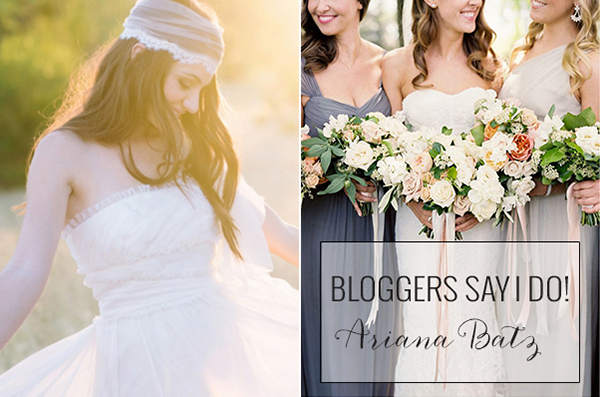 Thank you so much Ariana for you lovely ideas and stylish inspiration! That is so sweet – thank you, Gee! Beautiful selection of photos as to be expected from you, Adriana… 😉 And I am totally with you on the favors – I’d also rather take home a treat than a monogramed shot glas/flashlight/tea towel. Thank you, Esther! I love take home treats – the perfect morning after treat for a really awesome reception!